This post is a continuation of the post I wrote after the end of the first day. 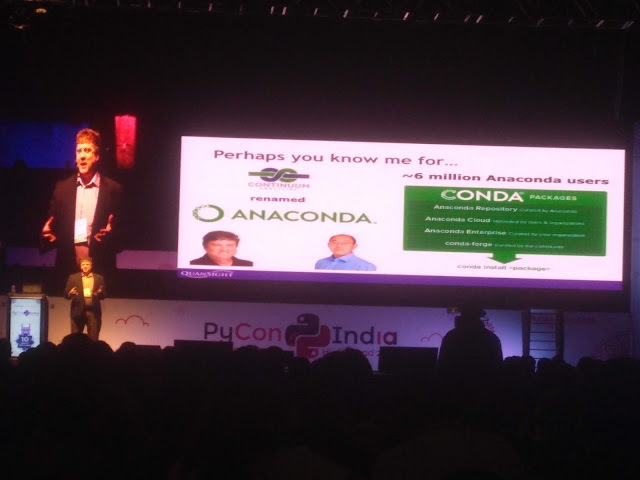 The 2nd day started with the keynote from Travis Oliphant who is well known for Python projects like NumPy, SciPy, Anaconda and many more popular libraries. It was one of the best keynotes I have heard in recent times. It not only had technical aspects of Python language development but also a lot if important challenges developers face as a human being. 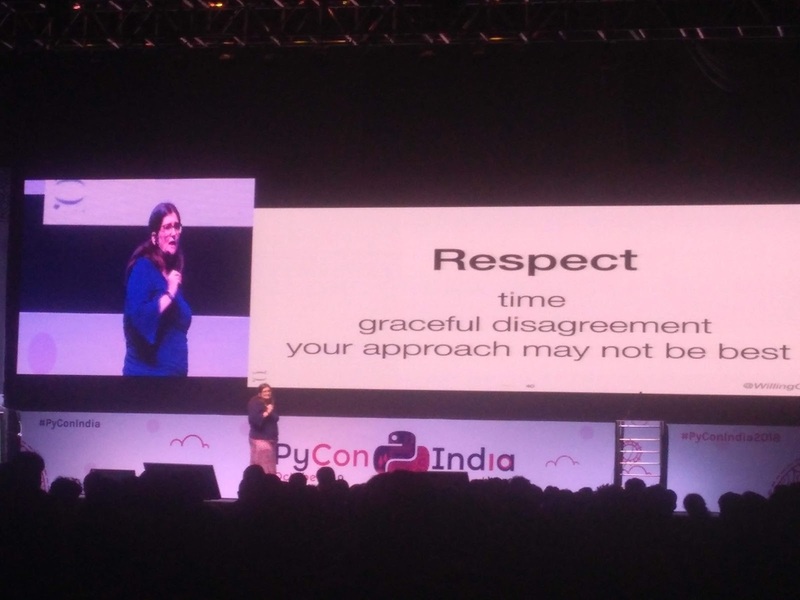 Starting from work-life balance to disagreements on mailing lists over decisions on python language. He gave a lot of insights and hope that anyone literally any one can contribute to the open source projects from his personal examples. 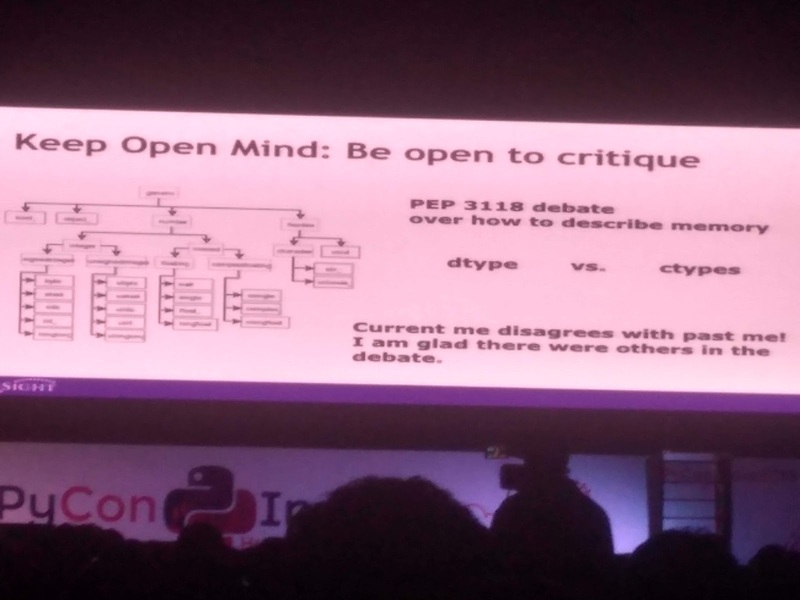 The thing which stood out in his keynote was that unlike many other speakers he gave examples from real life events on every abstract point that he mentioned. His keynote motivated me a lot especially to write more, read more and communicate more as a developer. The session by Anand S on cleaning up data was on.e of the best non-keynote session that I attended here. He seemed to be quite an experience speaker and the topic was quite interesting especially how they de-duplicated the constituency data all the way from 1951 since the first general election. 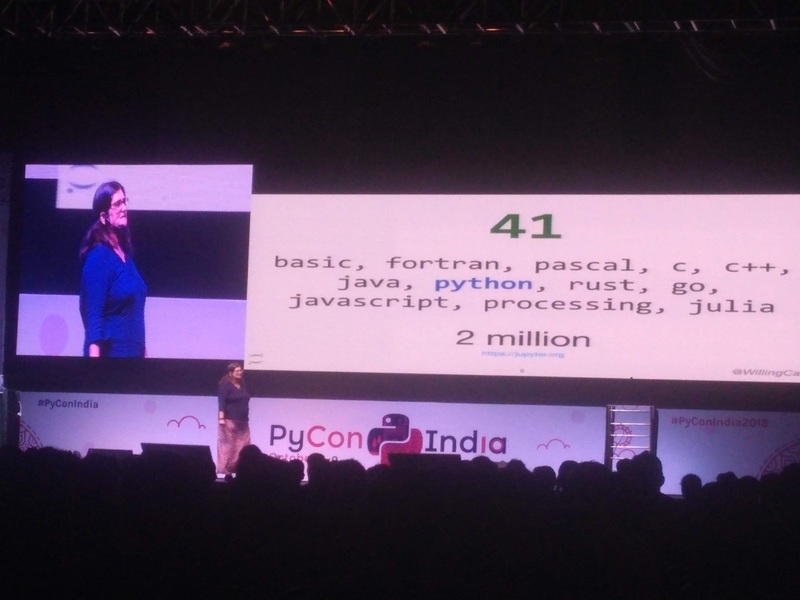 The conference of ended with an excellent keynote by Carol Willing, who has stunning 41 years of coding experience. She touched upon a lot of good attitudes that a developer should have in general and especially while contributing to Python community projects for a brighter future of Python language. Overall it was a very well organized event at the best conference facility in the city. Thanks a lot for speakers for traveling all the way here to speak and of course goodies from sponsors (I don't have to buy T-shirts for the next 2 years :) ). Lastly a great thanks to GDG Hyd and Google Developers for having me in this conference,, it was fun and enlightening. Next, I am looking forward to Devfest 2018 by GDG Hyderabad on 27 and 28th of October. See you there.